This was one of my favorite books this year and gave me great insight into what we all deserve in the area of love and relationships – not just with a romantic partner. When it was suggested I check this one out after going through some difficult scenarios and trying to figure out my feelings, it was a like a “God wink” when the book just happened to jump out at me at a used book store. 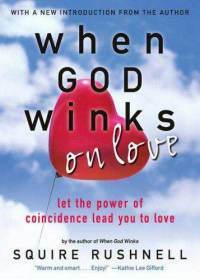 I’m looking forward to picking up the original book “When God Winks” soon.